Joyful woman maintaining fashion blog. 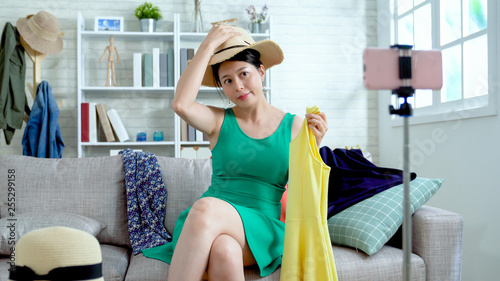 young asian girl wearing straw hats holding yellow dress showing to smartphone recording video online for vlog. beautiful famous lady review summer clothes.